The population of the commercial hub of Vijayawada comprises of a considerable share of vegetarian people. 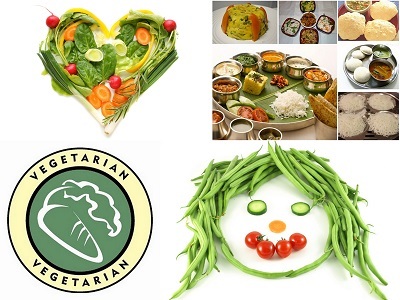 There is no worry for the vegetarian people as the city of Vijayawada houses a lot of authentic vegetarian restaurants who serve quality vegetarian delicacies to the customers. A typical menu of an authentic vegetarian restaurant in Vijayawada include idly, dosa, poori, moong dosa/pesarattu, gongura dishes, rice items, pesalu biyyam rawa upma, Andhra thali and so on. Find below some of the popular authentic vegetarian restaurants in the city of Vijayawada along with their location and contact details. All Vegetarian Restaurants are very nice.I had visit for all restaurants in Vijayawada.It was good experience for hotels.